Unreal Lawns supply and install artificial grass in St Helens and the north west of England. We serve domestic and commercial customers in the area, with products suitable for a wide range of applications from outdoor spaces and gardens, to event areas, exhibition space and more. See below for some examples of projects we've carried out in the St Helens area. 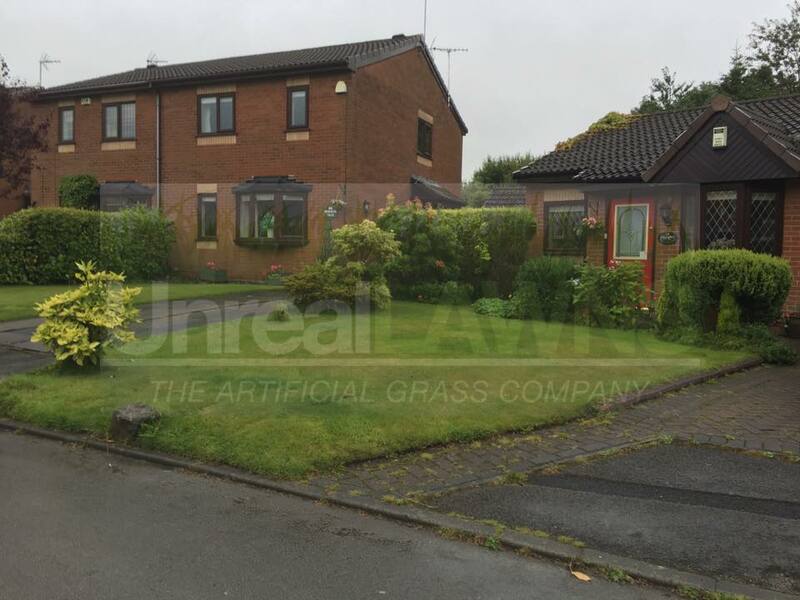 Unreal Lawns were approached by a customer in St Helens to install artificial grass in their front garden. Although the previous lawn wasn’t in a really bad state, they were fed up of the constant mowing and maintenance involved. To fix this, we installed our Supreme 38mm artificial grass, which requires no maintenance. The lawn will remain green and tidy all year round. The customer was delighted with the finished result, and feel very smug that their front lawn will become the envy of the neighbours. 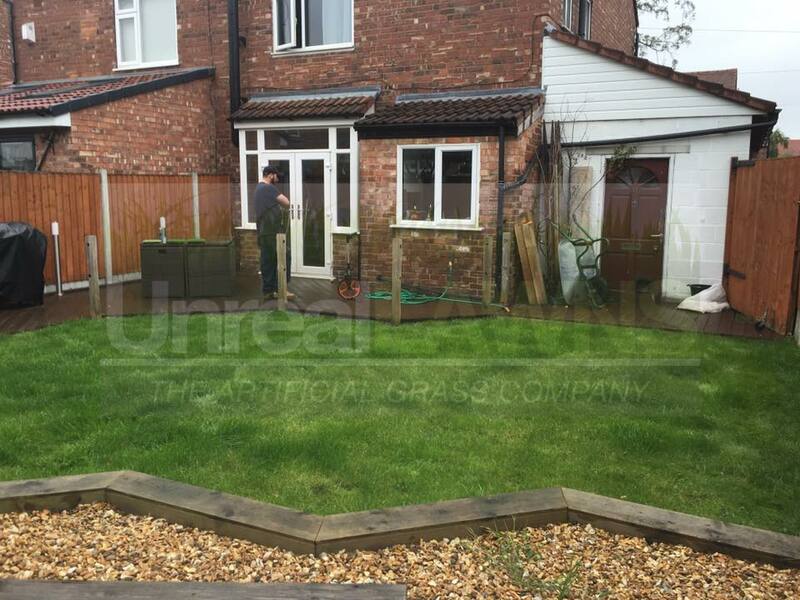 We visited this family’s back garden in St Helens after being contacted to supply and fit artificial grass to replace their lawn. Using our Luxury 35mm artificial grass, we replaced the existing lawn, keeping the shape of the lawn the same. The finished result offers a lawn that will remain green and tidy all year round. The customer was over the moon with the work completed, and have a space that they can enjoy spending time in. 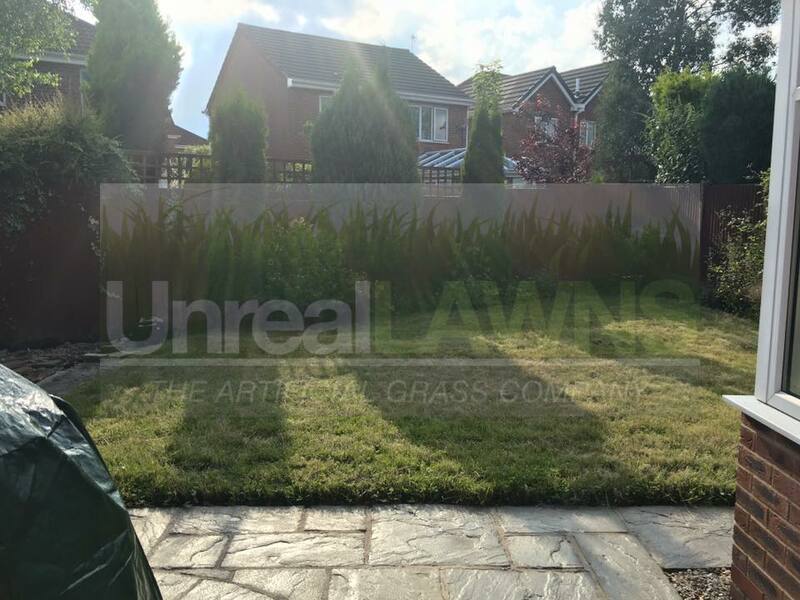 A customer in St Helens called Unreal Lawns to come and improve their garden. The lawn had become very boggy, patchy and faded, and didn’t make the garden very pleasing to look at. Using our Luxury 35mm artificial grass, edged with treated railway sleepers and an Indian stone path, we transformed the space. It is now a pristine garden that can be used all year round, leaving the customer very happy.